As I wrote in this post, I got the Naked 3 palette three years ago. Once it came out, I fell in love with the shades. It’s neutral, but it’s not boring neutral and it has pink. What not to love? I’ve written a review back when I got it, but you guys have been requesting me to review my favorite palettes and this is right there in the top three! 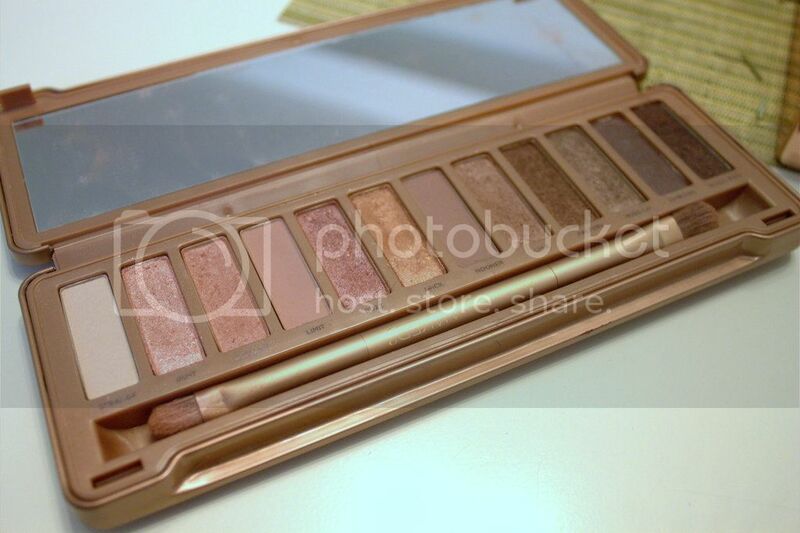 Let’s review the Naked 3 palette, shall we? 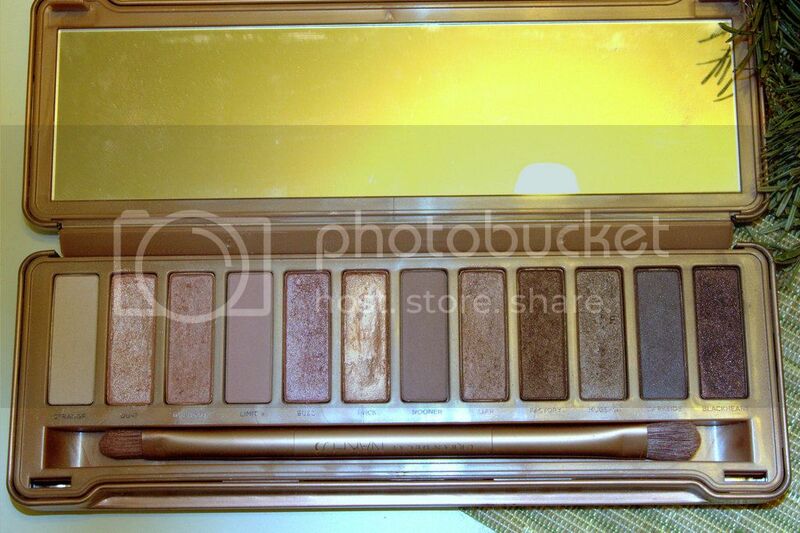 As you guys can see, it has 12 neutral eyeshadows with pink undertones. It ranges from very pink to darker pink-mauve-taupe-like colors. Before seeing it live and actually swatching it on my skin at Sephora (I was still living in Portugal), I have to say I was a bit weary as to how wearable the palette actually was. However, after swatching it, I realized they’re not only extremely wearable and neutral, but also compliment my skin and eye color – they even bring out the green in my eyes, so that’s a plus! The Naked 3 palette has three matte shades, which work great to define the crease or brow bone (in case of the first shade). They all blend in very easily, they’re creamy in texture and they do not crease if I use a primer (I have very oily lids). I think the good thing about the Naked 3 palette is that you can wear the colors alone for a more natural look, but you can also make very dramatic looks and smokey eyes. The brush really surprised me, as usually brushes that come in kits are not of best quality. This is definitely not the case here, I not only love this brush, I also find it is extremely good quality! If you don’t have other brushes or if you want to go on vacation and take the Naked 3 palette, you don’t need to take other brushes, you can use this one to make a smokey eye or a natural eye. You can see I have used some of the colors a lot! The gold one is almost reaching the pan, even though lately I have loved the shades Liar and Mugshot better. My verdict? I think this palette looks really well on almost anyone (I think some of the more ebony skin colored ladies might want to give this a pass though), especially if you’re younger some of these might look really natural and girly on you. 47€ might sound like a lot, but if you break it down, you’re paying 3.91€ per shadow – and this is not counting the brush! A single eyeshadow at MAC costs you 11€ if you have the pan, if you get 12 of those you’ll be spending 132€. And the quality is almost the same – I actually think that the Naked 3 has a better quality! So yeah, if you do want a rosy neutral palette in your collection or you want to get your first palette, I’d totally advise you to get this one – or one of the other Naked palettes. What do you think? Do you guys wanna see some looks with this? I love it too! I think it goes on beautifully in all eye colors!! I have Naked 1 and 2, but still can’t makeup my mind about this one! Looks gorgeous though. You can always try it out once Paula! Or, if you don’t want to get the Naked right away, try getting one of the more inexpensive ones, L’Oreal and Maybelline also have some rose palettes! Adoro esta palette! Quando saiu fiquei super céptica com as cores mas assim que fiz swatches não aguentei até tê-la. Ainda para mais também tenho olhos esverdeados por isso fica linda! Já experimentaste Zoeva? Tem uma qualidade equiparável a um preço bastante simpático!